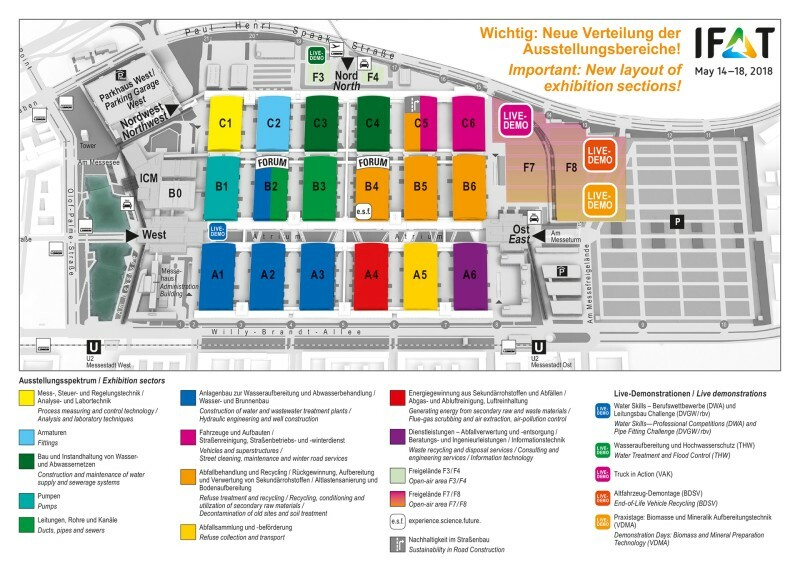 After two years of building work, the number of exhibition halls available at Messe München will rise to eighteen, providing a total of 200,000 square meters of exhibition space. The two newly built halls—C5 and C6—will be used by exhibitors for the first time at the next IFAT, which takes place between May 14 to 18, 2018. The total area covered by IFAT 2018, including the outdoor exhibition site, will thus expand to 260,000 square meters.